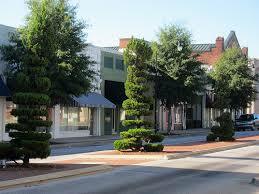 Do you want to find the best possible service for pressure washing in Bishopville? Well, no need to search any further, because Clean Finish has got everything needed to get the job done right, because, Big or Small, We Can Give You a Clean Finish! We are the top pressure cleaning service in Bishopville, SC, serving the entire community as well as many surrounding areas such as Lugoff, Camden, Florence, Sumter, and even Columbia. We have the most high quality, professional and specialized equipment to tackle even the toughest of power washing challenges, from our professional grade, bio-friendly detergents to our softwash, non-pressure, hot water, and high pressure techniques in order to efficiently and effectively clean any type of surface, from brick, to wood, to stucco, to even vinyl and concrete. Our company is unparalleled in terms of integrity, professionalism, and service. We are fully licensed and insured for your peace of mind! We care strongly about our customers and the value and professionalism we present in our jobs. We are proud of our status as Bishopville’s top pressure washing company, and we hope to continue to do even better to serve our community with high quality, affordable, and professional work done right. Contact us today for a free quote on pressure washing in Bishoville — call or email us at west@clean-finish.com.